Trademark infringement is not a brand new topic to discuss. Article 57 of the Chinese Trademark Law lists several kinds of trademark infringement. We have seen numerous actions of copying trademarks or using similar marks to mislead the consumers. The infringers do not need a thorough plan to conduct these basic types of infringement, and the cost is low. It has come to our attention that a new trend of trademark infringement appears in several litigations involving certain famous sports brands. The defendants conducted their infringement through a meticulous plan including registering similar trademarks and utilizing the registered trademarks in a non-standard style, as well as copying the plaintiff’s copyright, patent, and trade dress. In this article, we would like to address the key points of this “innovative” trademark infringement and share some strategy on how to take down this kind of infringement based on our experience of representing our client in a same type of case. The infringers’ plan starts from registering similar trademarks with Trademark Office of China. It is a very important step and the purpose is to gain “legitimate appearance” for their future actions. The infringers aim to “legalize” their infringement based on the rights of registered trademarks. To get their application approved by the Trademark Office, they always add some designs on the pre-registered trademarks of famous sports brands, especially target on the brands of shoes. It is not easy for the infringers to get registration; therefore, they file a series of applications and hope some of them could pass the examination of the Trademark Office. More interesting, the infringers also set up a “firewall” by applying for the similar trademarks in the name of one entity and then authorizing the trademarks to another related entity to conduct further actions. It makes the owners harder to stop their infringement; at least the infringers can stall for some time so that they can gain more illegal interests. The case, SKECHERS U.S.A., INC. II v. Spieth Wensky Sports Products Co., Ltd. and Quanzhou Bo Hai Shoe Industry Co., Ltd., is a great example to analyze the new type. SKECHERS owns their famous “Skechers” and “S” brands, especially on shoes. It registered several “S” trademarks in Mainland China. The two defendants are related entities and controlled by the same individual. One of them, Quanzhou Bo Hai, registered the “ ” trademark with Reg. No. 13306821, and then authorized the other one, Spieth Wensky to use this mark. It can be observed that the “ ” mark is very similar to SKECHERS’ prior “S” trademarks; the differences are the shield background and the three dots in the upper right corner. During the litigation process, Quanzhou Bo Hai assigned this trademark to Spieth Wensky. 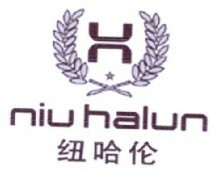 It is reasonable to believe that the purpose of Quanzhou Bo Hai registered this trademark in the first place is to authorize Spieth Wensky to conduct further infringement. More corroborating evidence show that Spieth Wensky also applied to register several trademarks that contain “S” factors during the year 2016 to 2017. In the case that Under Armour, Inc. v. Fujian Tingfeilong Sports Goods Co., Ltd., the defendant achieves the rights of using the “ ”, “ ”, and“ ”marks by registering, being assigned or authorized from others. These registrations are all similar to the prior registration of plaintiff’s trademark “ ”. In the case, New Barlun v. New Bailun LP, the defendant’s affiliate registered the trademark “ ”, similar to the plaintiff’s “ ”trademark and intended to cause confusion in the market. These trademarks registered by infringers are only their “legitimate appearance” for their future actions. Their real intention is to “legalize” their infringement based on the rights of registered trademarks. Article 56 of the Chinese Trademark Law regulates that “[t]he exclusive right to use a registered trademark shall be limited to the trademark registered upon verification and approval and the goods approved to be designated to be covered by the trademark. ” In accordance with this article, the owner of the registered trademarks shall use their trademarks in the same way proved by the Trademark Office. Any modification that could cause confusion among the consumers shall not be made during the use of the registered trademark. Moreover, in the < Provisions of the Supreme People's Court on Certain Issues Concerning the Trial of Civil Dispute Cases Involving Conflict of a Registered Trademark or Enterprise Name with Any Pre-existing Right>, the Supreme Court of China states further regarding this issue. “If a plaintiff files a lawsuit by alleging that the registered trademark used by another in the designated goods is identical or similar to the plaintiff's pre-existing registered trademark, the relevant people's court shall notify the plaintiff to apply to the relevant administrative authority for settlement. However, if a plaintiff files a lawsuit alleging that another's registered trademark, as beyond the scope of the designated goods or used by means of, among others, changing the distinctive features, split, or, combination of trademarks, is identical or similar to the plaintiff's registered trademark, the relevant people's court shall accept the lawsuit.” It clearly shows that if the owner of the registered trademarks utilize its mark in a non-standard way, by changing the distinctive features, split, or, the combination of trademarks, such use could be deemed as using a new, unregistered mark. In case this new mark is identical or similar to another’s registered trademarks, a trademark infringement lawsuit can be filed and the court shall accept it. The purpose of the infringers utilizing their registered trademarks is to cause confusion among consumers, take advantages of the reputation of these famous brands, and gain illegal interests. In the case, SKECHERS U.S.A., INC. II v. Spieth Wensky Sports Products Co., Ltd. and Quanzhou Bo Hai Shoe Industry Co., Ltd., the defendant intentionally hid the shield background and the three dots on their registered trademark, by coloring these two parts in the same way of the uppers of the shoes. The result is if a customer pays normal attention when looking at the defendant’s shoes, the customer can only notice the “S” mark without the other two parts of the registered trademark. 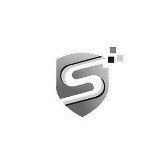 This “S” mark being noticed is confusingly similar to SKECHERS’ prior trademarks. The customers will believe the defendant’s shoes have a certain relationship with the plaintiff, even believing the shoes are actually Skechers brand. This is how the infringers take advantages of famous brands and gain their illegal interest. The second instance court supported the plaintiff’s argument and held that the defendant constitutes trademark infringement. In the case that Under Armour, Inc. v. Fujian Tingfeilong Sports Goods Co., Ltd., the defendant also dilutes the background of “ ” trademark, makes it confusingly similar to the plaintiff’s “ ” trademark to conduct its infringing actions. In the case, New Barlun v. New Bailun LP, the defendant diluted the stars in the backgrounds with the same color tricks and only left the “N” mark. The court held that this new mark is confusingly similar to the plaintiff’s “ ” and the defendant constitutes trademark infringement. Why targeting these brands? We believe it is because these brands are all in the sports industry. In addition, they all have famous trademarks consist of a single English character, such as “S” and “N”, which could be copied easily. The defendants in these cases all have ties, more or less, with a certain area in Fujian Province. This area is notorious for counterfeiting shoes of well-known brands. We believe this is a recent trend of infringement in the shoe industry and worth the attention of international sports brands. The above two steps are not all the infringers have done. Some notorious infringers believe those are not enough. Except abusing their registered trademarks in a confusing way, they also copy other rights owned by the international brands, such as copyright, patent, and trade dress, to make the customers more confused. The defendant of the SKECHERS’ case, Spieth Wensky, does not only conduct trademark infringement, but also copies SKECHERS’ trade dress of its “D’LITES”shoes, and copyright of and . Further, the legal representative of the defendant even applied for the design patent, using one of the most famous styles of SKECHERS’ shoes. In addition, the defendant false advertises that its brand established in U.K. in 1945, and try to become an “international” brand to cause more confusion among the customers. Firstly, the right owners should pay more attention to the applications of the trademarks that are similar to their prior trademarks and could cause confusion among the customers. Necessary actions should be conducted against these new applications such as filing the opposition. These actions will stop the infringer in their first stage of infringement and could effectively avoid further moves of the infringer. Secondly, once the right owners find this new type of infringement, they should immediately take actions against the infringement. The actions must focus on the actual use of the mark, and should not pay much attention on the trademarks registered by the infringer. Through providing sufficient evidence to prove the mark actually used by the infringer is not the registered trademark, the right owners can take off the “legitimate appearance” and strongly defend their prior trademark rights. As we have mentioned, a trademark is not the only rights that the infringers will copy. Therefore, to be more sufficient, except arguing trademark infringement, the owners should also include other rights that being infringed. These rights will support each other, and together they will show the bad faith of the infringers. Determination is also a very significant factor of your defending actions. Recently, China has paid much more attention to protecting Intellectual Property Rights than before. The old types of trademark infringement have been strongly hit. Under this circumstance, the infringers has innovated their infringement to a new level. Their meticulous plan could cause a huge obstacle when the rights owners launch their defending actions. For instance, the court rejected all of SKECHERS’ complaints in the first instance. However, the determination of SKECHERS makes them persistent and finally win the whole case in the second instance.